We have Received lot of grievances regarding some of the recent semester papers of Nov-Dec 2016 Examinations. 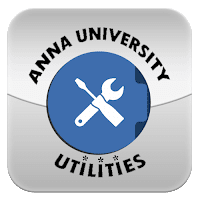 We made our best efforts to collect expected grace mark details from corresponding subjects staffs, which are forwarded to Anna University. CS6302 Database Management System 22 Q.15. (b) - 6 Marks - Relevant Answers Needed. CS 6504 Computer Graphics 14 1 - 8 Marks , 1 - 6 Marks.